Rosie the Riveter and the pinups that soldiers kept in their bunks most frequently come to mind when we think about women in wartime. While Ms. Rosie is a cultural icon that played a large role in the 20th century’s first wave of feminism and the World War II pinup aesthetic has made its impact in the modern rockabilly subculture, there’s another way that women have been represented during war that isn’t talked about as much: the female veterans who have served our country. 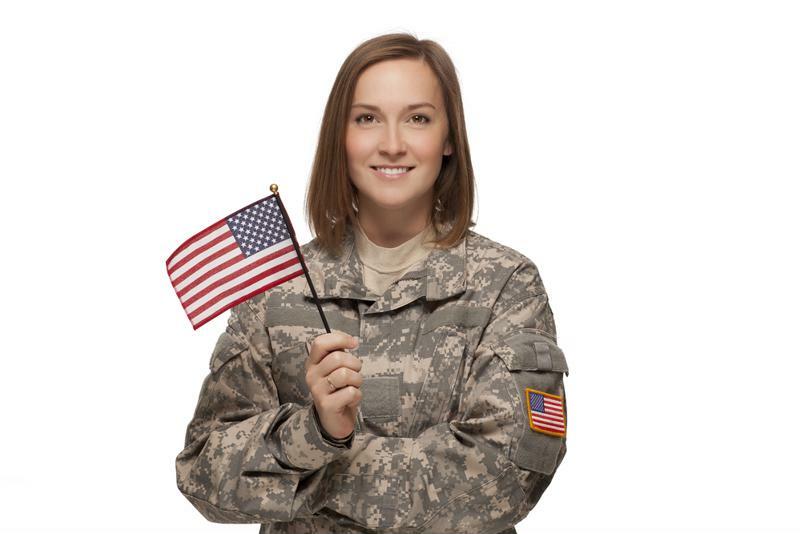 According to the U.S. Department of Veteran affairs, approximately 10 percent of all U.S. vets are women. Women are getting more opportunities in the armed forces than ever before. Last Friday, President Barack Obama signed legislation stating that female pilots who served in the military during World War II are officially able to have their ashes placed at Arlington National Cemetery, reported TIME Magazine. This unit was known as the WASPs – Women Airforce Service Pilots – and consisted of 1,074 women, 38 of whom lost their lives during their service. Though the unit disbanded in 1944, these women were not considered veterans and were unable to be buried or have their ashes placed in Arlington. WASPs are now officially considered veterans, and the legislation has granted them full military honors. Women weren’t always able to serve in the military, leading many of them to join the forces disguised as men. Deborah Samson in the Revolutionary War, and Sarah Emma Edmonds, Cathay Williams, Pauline Cushman and Jennie Hodgers in the Civil War are a few of the women who went into battle without anyone suspecting they were women. Many of them were never found out unless they had to be medically treated for illness or injury during the wars. Veteran’s careers don’t always end upon leaving the military. For example, “Golden Girls” star Bea Arthur was a truck driver in World War II and one of the first members of the Women’s Reserve. Gayle Smith, also known as The Nurse with Round Eyes, wrote about her experiences in the Vietnam War. Her writings are memorable because even though she served as a nurse, she didn’t believe that the war should have been waging to begin with. Eileen Collins is also a very influential female veteran who served in 1983 during Operation Urgent Fury. She was a pilot who flew medical students out of Grenada and went on to become the first female space shuttle commander. In 2001, the Army promoted the first Asian Pacific-American woman to brigadier general. The U.S. Army Women’s Museum opened at Fort Lee, Virginia as well. In 2002, the Army National Guard promoted the first African-American woman to brigadier general, and the first woman was sworn in as the Command Sergeant Major of the U.S. Army Reserve. In 2004, a woman took command of a fighter squadron for the first time. In 2005, a woman was awarded the Silver Star for combat action for the first time. Since, 13 more women have received this honor. In 2016, the first female joined the Thunderbirds – thus becoming the first woman to join any military high-performance jet team. In 2008, the first female was promoted to four-star general by the U.S. Army. Monroe and Main supports our female veterans all year round, but especially on days like Memorial and Veterans Day. Show your support as well by thanking a vet for her service , either in person or with a letter or care package, or by volunteering with organizations such as the Disabled Veterans organization or Canine Companions for Independence.